At first glance a billionaire Republican businessman sounds like Wall Street's dream presidential candidate. But Donald Trump is no such thing. In fact, the prospect of a Trump White House strikes fear at the heart of capitalism. 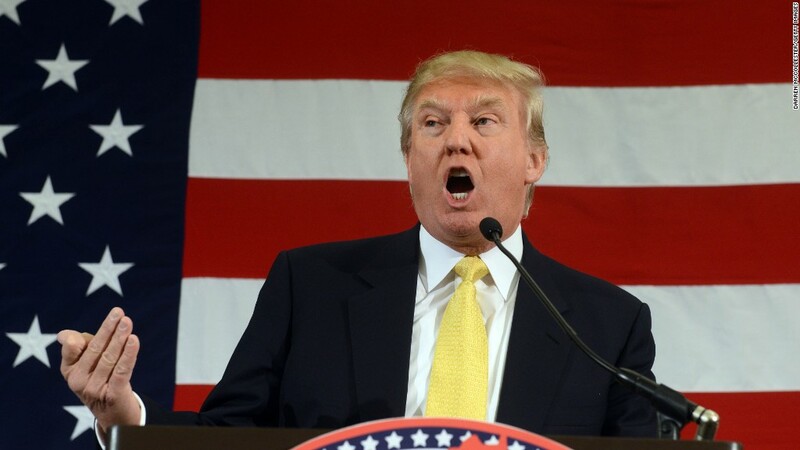 Trump has hammered Wall Street in recent speeches, wants to raise taxes on the rich and has embraced policies that will hurt many multinational companies. "Wall Street hates him because he is a class traitor," said Greg Valliere, chief political strategist at Potomac Research Group. "He has bought into the populist rhetoric that Wall Street is greedy and makes too much money...He sounds more anti-Wall Street than Elizabeth Warren." Trump's unpredictability introduces a new level of uncertainty. It's a huge negative for investors, who want to map out likely outcomes before committing money on the future. "Wall Street likes knowns, not variables. And Donald Trump is a variable. I would dare to say he is a wildcard," said Peter Kenny, a 30-year veteran of Wall Street who is chief market strategist at The Clear Pool Group, a financial technology company. A Trump White House "would be more of a shoot-from-the-hip kind of administration," said Sam Stovall, chief investment strategist at S&P Capital IQ. "If you're concerned about uncertainty, I would be very concerned about a Trump presidency." Some are even embarrassed to talk about Trump's chances of actually winning the presidency. "I don't ask anyone what they think of a Trump White House because I would look dumb if I had that conversation," said Tony Fratto, former assistant secretary at the U.S. Treasury Department under President George W. Bush. "The chance of a Trump White House is zero." Others believe Trump's viability as a candidate continues to be vastly underestimated. "To not take him seriously at this point is a mistake. People have fundamentally misjudged the nature of his appeal," said Robert Shapiro, a senior fellow at Georgetown's McDonough School of Business. Trump of course loves the idea of Wall Street being scared of him. He's surged to the top of the GOP polls in part by capitalizing on the public's anti-Wall Street sentiment. Hedge fund managers are "getting away with murder," Trump said on a recent appearance on CBS' "Face the Nation." Unlike establishment candidates like Chris Christie, Trump has little desire to court the millionaires and billionaires in the financial industry. So far so good. Carl Icahn may be the only big Wall Street name to support Trump. 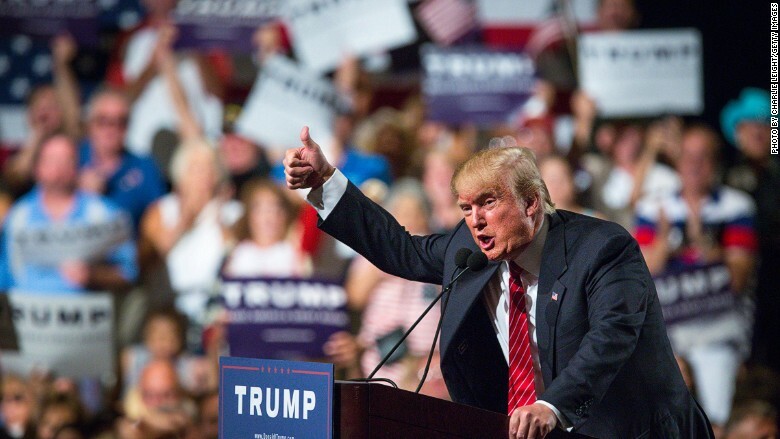 Despite running as a Republican, Trump's ideas run counter to the traditional GOP playbook. He's is in favor of raises taxes on the rich and wants to close a tax loophole that lets hedge funds pay lower taxes. But that's not the main reason Wall Street is rooting against Trump. After all, Wall Street darling Jeb Bush is also in favor of closing the same tax loophole. Trump's plans to "make America great again" are a scary prospect for pro-growth conservatives that hold real power on Wall Street. Trump wants to deport millions of immigrants. It is exactly the opposite of what Silicon Valley and many large companies have called for. They want to reform the country's immigration system and make it easy for skilled immigrants to get jobs and stay in the country legally. Unlike multinationals, Trump is also against trade deals. The billionaire wants to gut NAFTA, the 1994 trade deal between the U.S., Canada and Mexico, and he called the Obama Administration's Trans-Pacific Partnership a "disaster." It's no wonder the influential conservative economic policy advocacy group Club for Growth launched a $1 million-plus negative ad campaign calling Trump a "liberal" on economic policy. "Donald Trump is the worst Republican candidate on economic issues," Club for Growth president David McIntosh said in a statement. No doubt a President Trump would be limited by political reality. His power would be limited by his ability to work with Congress, where Republicans would presumably maintain control of at least the House of Representatives. Trump is not the only candidate who represents a threat to Wall Street. Bernie Sanders -- who is now beating Hillary Clinton in some early primary states -- wants to break up big banks, rein in fat bonuses and tax high-speed trading. That's why Wall Street would prefer establishment candidates like Bush, Christie or Marco Rubio. There would even be a preference for Clinton, who has raked in big speaking fees from Wall Street and whose husband presided over deregulation of the banking system.